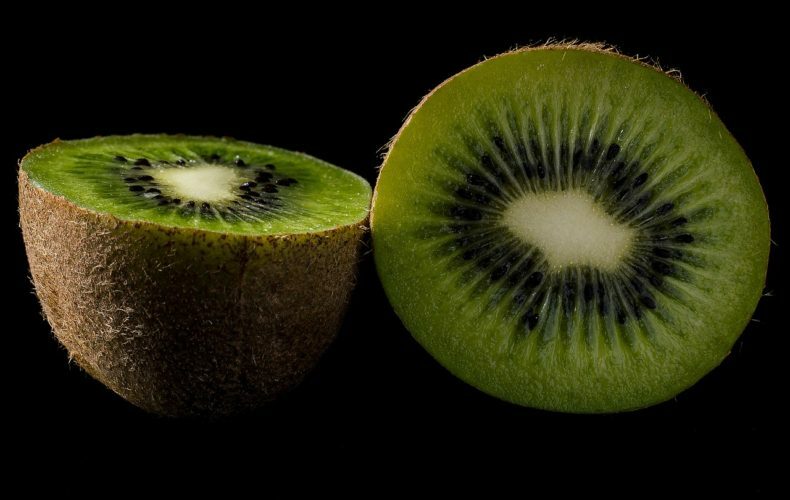 Kiwi has been native to China for hundreds of years, and it was unknown till 1962 in North America where it was first introduced in that year. It is named after the Kiwi bird of New Zealand because they both are brown, small and furry. There are different species of kiwi available in the market. There are fuzzy and golden kiwis, the latter one is sweeter and more aromatic. Kiwi can grow in any climate and temperature. New Zealand, Chile, and Italy are leading Kiwi producers. Kiwi fruit is the power pack of nutrients like vitamin C, vitamin E, vitamin K, folate, and potassium. Due to its flavor and full of nutrients, it is very useful for health. It is also a good source of antioxidants and fiber. These are some benefits of the Kiwi. Kiwis are high in vitamin C. If we see the nutritional break up of kiwi, it contains 154% of vitamin C in 100gms of kiwi. Vitamin C act as an antioxidant. It boosts the immunity of the body against harmful bacterias. As kiwi is a high source of vitamin C, it provides relief to the asthmatic patient. Vitamin C and antioxidant may have a beneficial effect on the lung function. Kiwi is fully loaded with dietary fiber and it helps to prevent several diseases. Fiber-rich food may help to reduce blood pressure and also help to keep control of cholesterol and blood sugar level. Kiwi is full of fibers and it also contains an enzyme called actinidin which together help to aid digestion. Kiwi contains vitamin C and vitamin K which act as antioxidant and prevent skin degradation and keep a youthful skin. Kiwi is a good source of folate. Folate helps in the development of the fetus and that is why it is good for a pregnant woman. Folate is also good for growing children.